On Saturday Natalie and I went to Jenny and James’ for a nice evening in. I brought some nibbles and Jenny had made a gorgeous garlicky chicken made with lots of garlic with roast potatoes for maincourse and strawberry cupcakes for dessert. 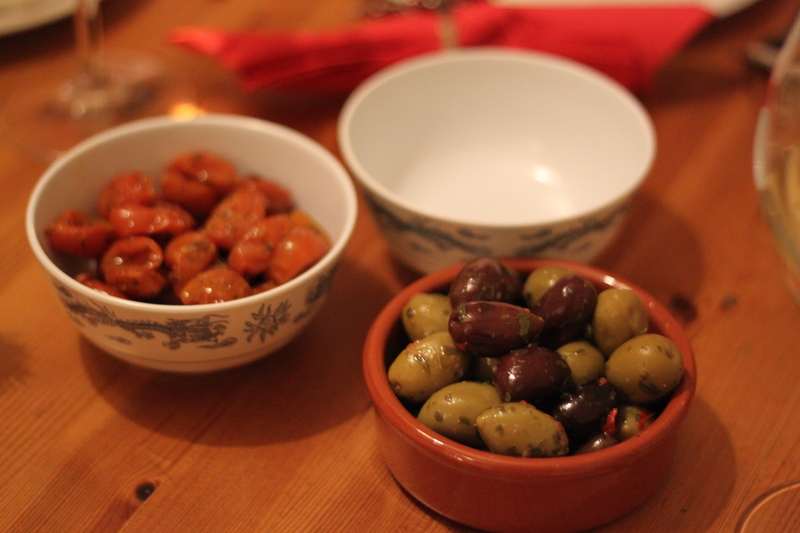 Since James is a vegan I made sure most of the nibbles were vegan so he could enjoy them as well. 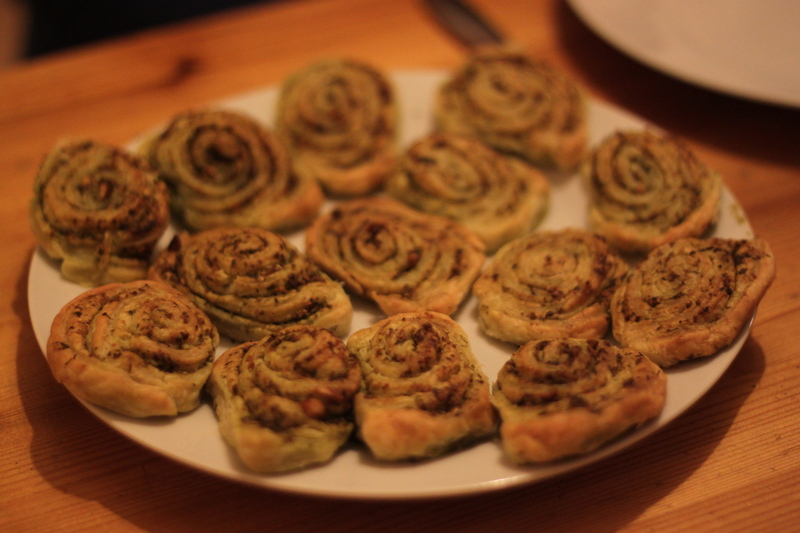 I made oven roasted cherry tomatoes, bought some nice olives and made some vegan pesto swirls with (vegan) puff pastry. It is all very easy to make, but really nice. For the non-vegans I also marinaded some mozzarella, so simple yet delicious. Turn the oven on 150C. Rinse and cut the tomatoes in half and place in a greased ovenproof dish. Drizzle with with olive oil, plenty with Italian herbs, salt and pepper. Leave to cool. 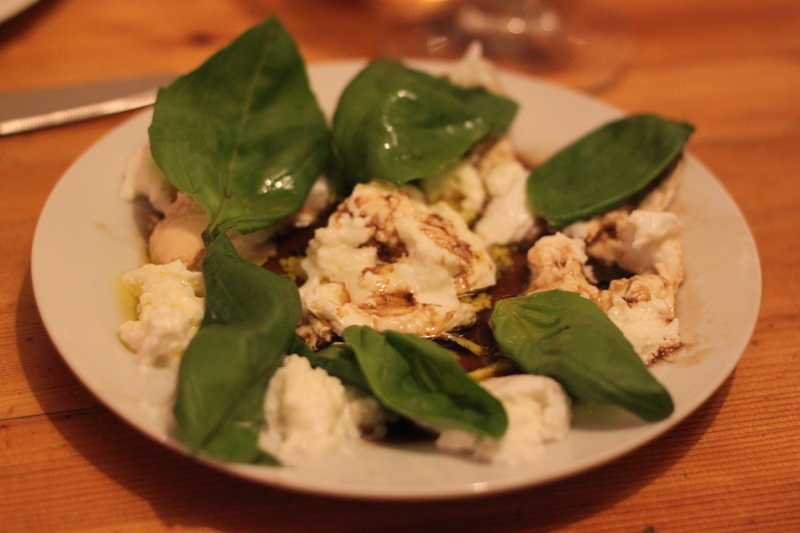 Shred the mozzarella and place on a plate. Drizzle with oilve oil and balsamic vinegar. Decorate with a few basil leaves. Place everything but the olive oil in a food processor and mix to a paste. Pour in the oil bit by bit until the pesto has the texture you like. Leave the flavours to develop in the fridge for a few hours. Roll out the puff pastry and spread out the pesto on top. Roll it up from the short side and pinch to secure the roll. Cut in 1/2 cm thick slices and place on a baking sheet. Bake for 10-15 minutes in 180C or until golden brown.